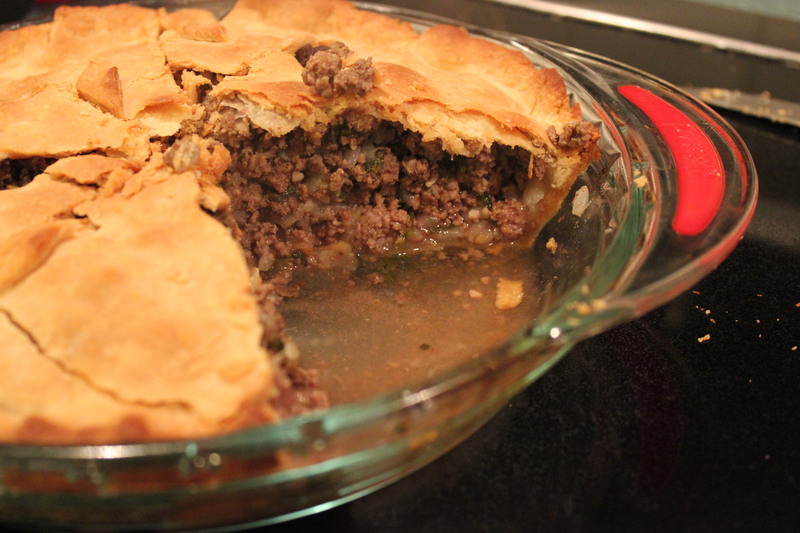 A traditional Tourtière (meat pie) served customarily on Christmas Eve in Lower Canada. I saw this recipe and looked at the background on it. 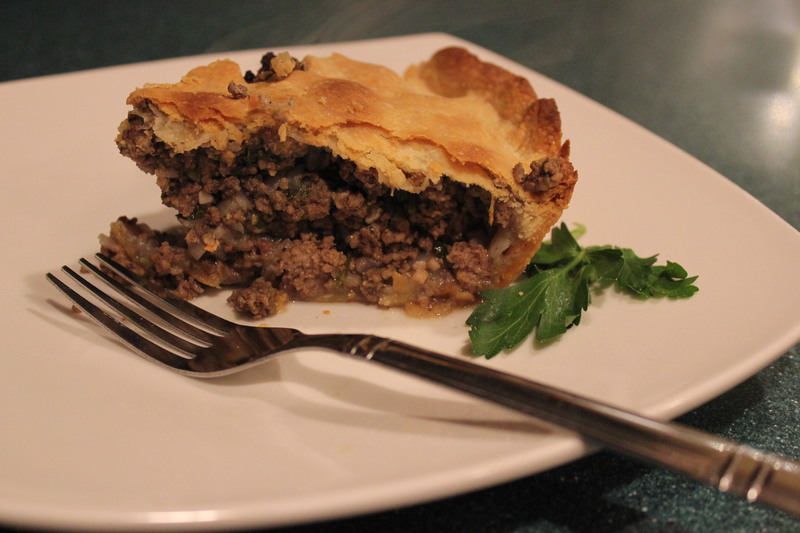 Back in the day the pie was made with game meat, rabbit or moose; it was eventually turned over to Pork, but with the pork being such a dry meat other meats were added to keep the pie moist. 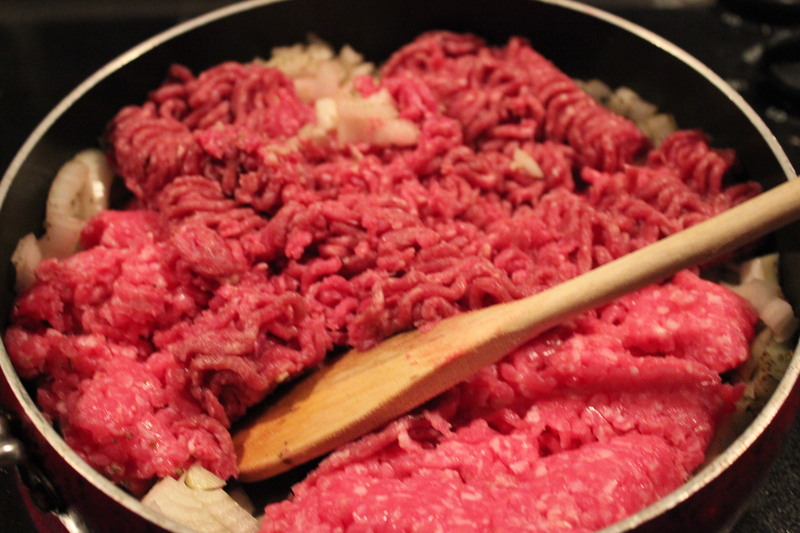 Ideally you would use 1/3 veal 1/3 beef and 1/3 pork. The dish is a striking presentation and it had a wonderful earthy tone to it. 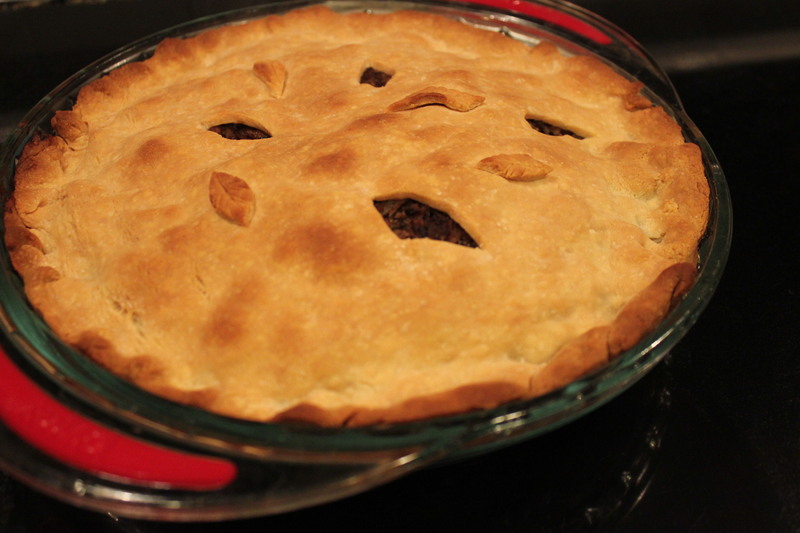 1 recipe pastry for a 9 inch double crust pie (Here) Just double the recipe for the crust! Sometimes you can buy a prepackaged mixture of the veal and pork in the meat section of the store. Otherwise use equal parts beef and pork. You can also use the pre-made pie crust in the freezer section of the grocer. 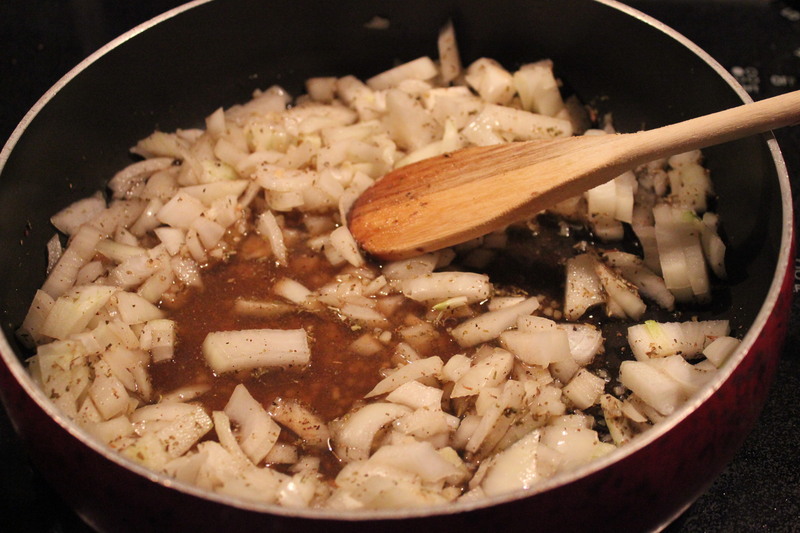 In a saucepan, combine pork, beef, veal onion, garlic, salt, thyme, sage, black pepper and cloves. Cook over medium heat until mixture boils; stirring occasionally. 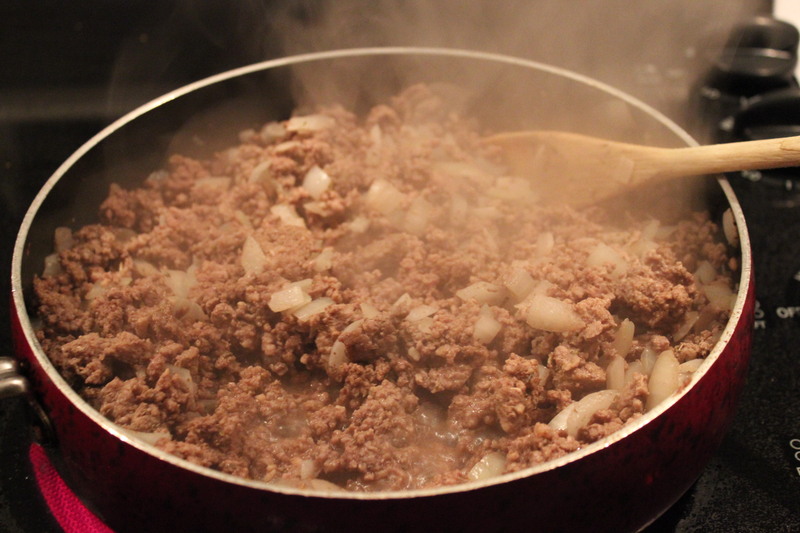 Reduce heat to low and simmer until meat is cooked, about 5 minutes. 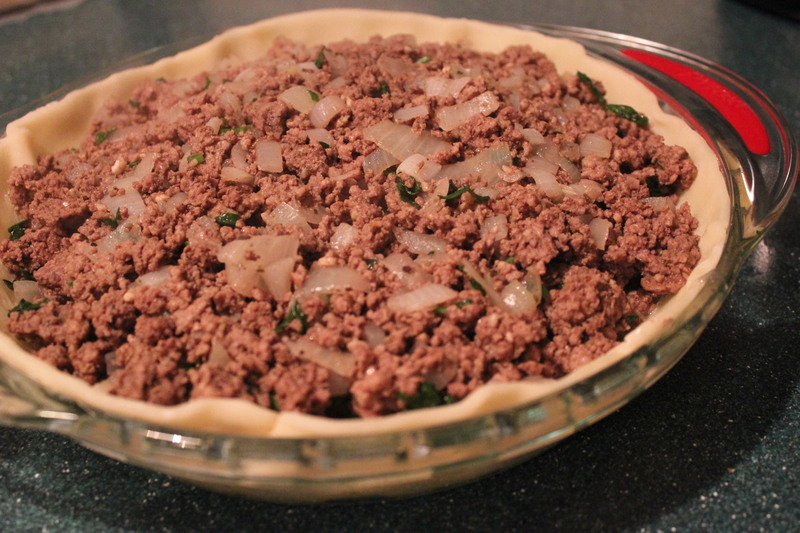 Spoon the meat mixture into the pie crust. 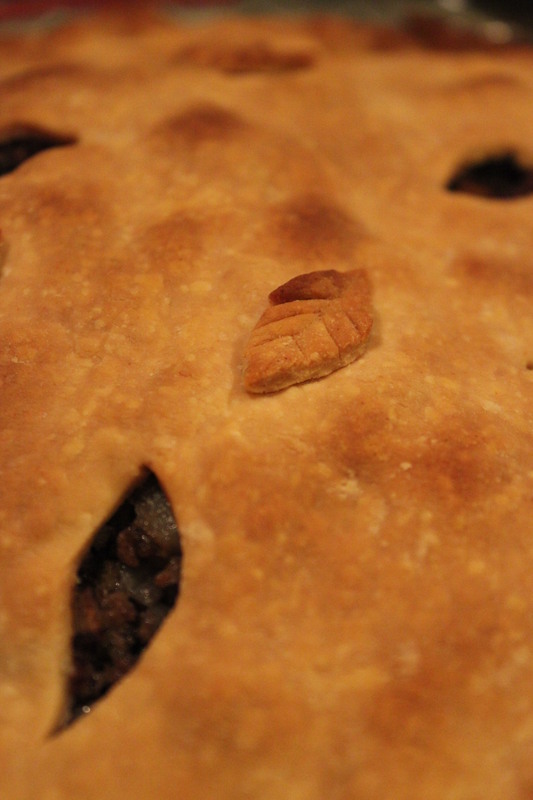 Place top crust on top of pie and pinch edges to seal. Cut slits in top crust so steam can escape. I cut out leaf shapes and placed them next to the holes. Brush the pie top with egg wash. Cover edges of pie with strips of aluminum foil. Bake in preheated oven for 20 minutes, remove foil and return to oven. Bake for an additional 15 to 20 minutes until golden brown. Let cool 10 minutes before slicing. I particularly enjoyed the flavors of the meal. Occasionally there is cinnamon in the recipe, but my better half does not like cinnamon so I omitted it and I don’t think it made a difference. 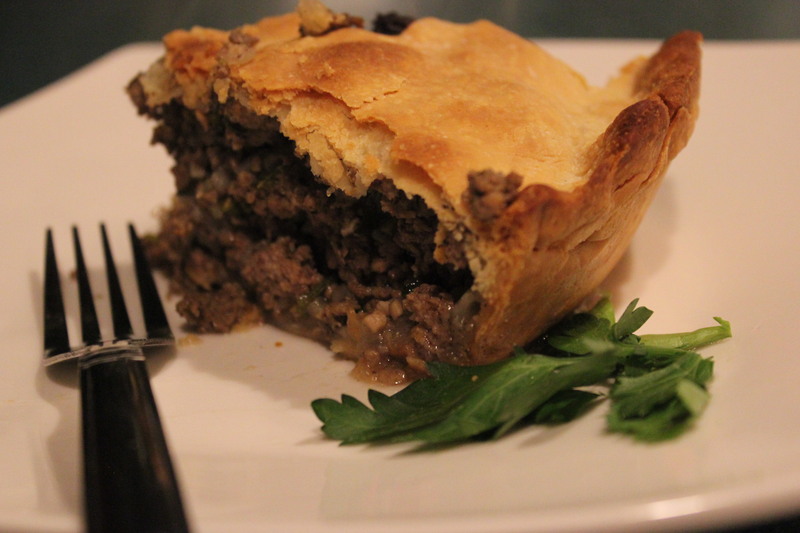 This looks very appetizing and I like meat/poultry pies. I will give this a try.